Oxford University Press is a department of the University of Oxford, England. It furthers the University’s objective of excellence in research, scholarship, and education by publishing worldwide. It has an amazing history and has been involved with the printing trade since the 15th century and today employs more than 6,000 people, and its books, materials and services are sold in 188 countries worldwide. The Oxford University Press publish more than 6,000 titles a year worldwide, in a variety of formats. They range from dictionaries, English language teaching materials, children’s books, journals, scholarly monographs, printed music, higher education textbooks, and schoolbooks. Oxford University Press commission medical illustrators when there is a need for medical or anatomical illustrations to give explanation to written medical data or to increase or engage the readers attention. 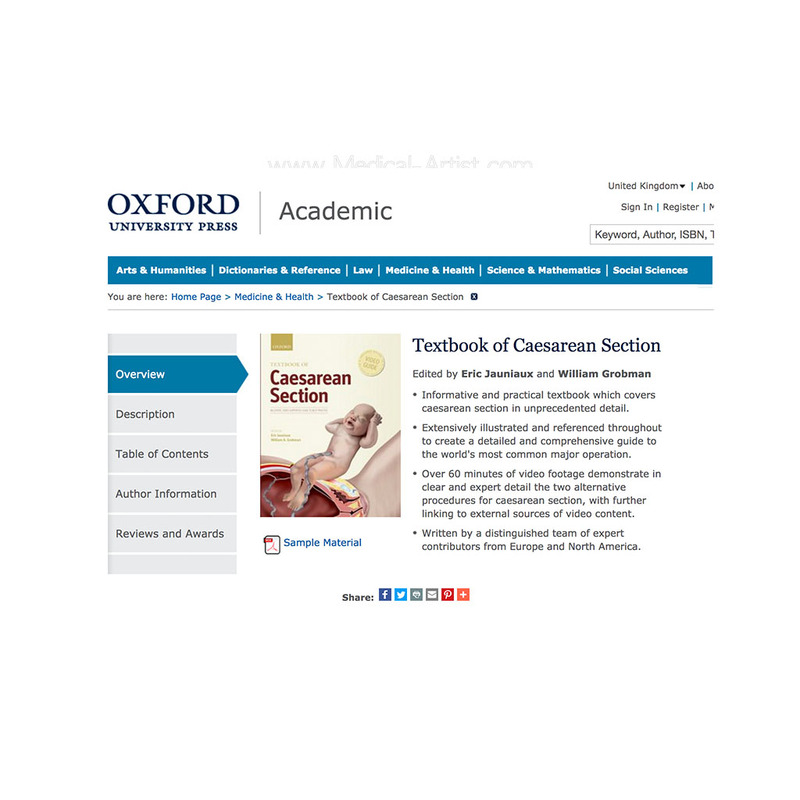 Oxford University Press also commission medical illustrators to illustrate book covers and the book cover in question was to front an informative textbook to cover caesarean section that was to be a comprehensive guide to the world’s most common major operation. 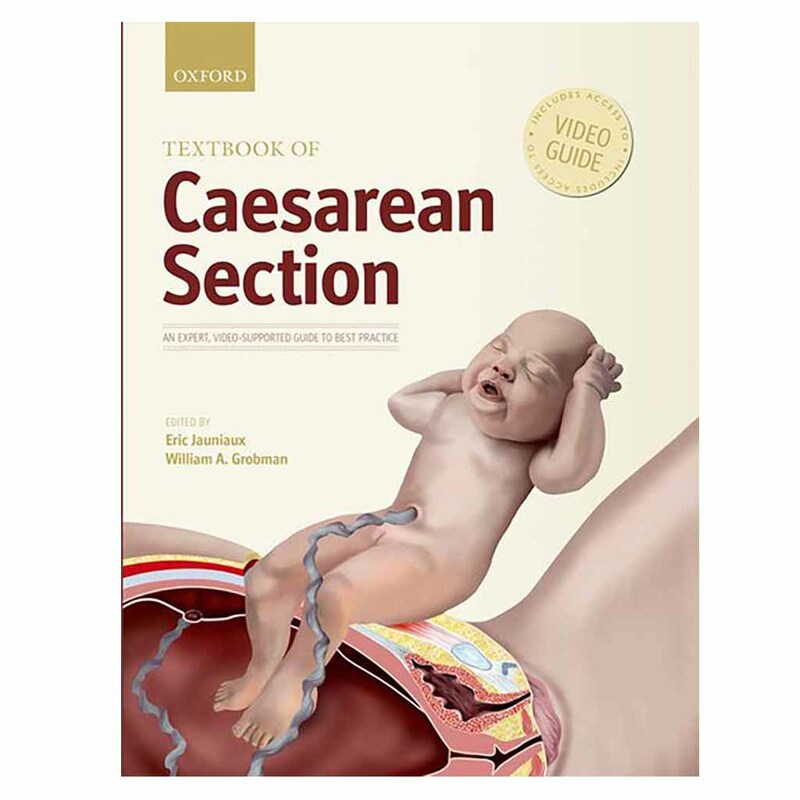 Our brief was to create a book cover illustration and the subject matter naturally was to illustrate the procedure for caesarean section. The purpose to show the delivery of a baby through a surgical incision in the mother’s abdomen and uterus. The target audience were to be medical professionals so the illustration needed to be anatomically accurate and one that would not only show the caesarean section but one that would be fit for purpose as an engaging and interesting, stand alone illustration.